Sapna grooved to the beats of her popular Haryanvi song during a stage show. Haryanvi dancer and singer Sapna Choudhary is busy with her back-to-back stage shows. The lady is known for her phenomenal dance and surely knows how to win hearts. 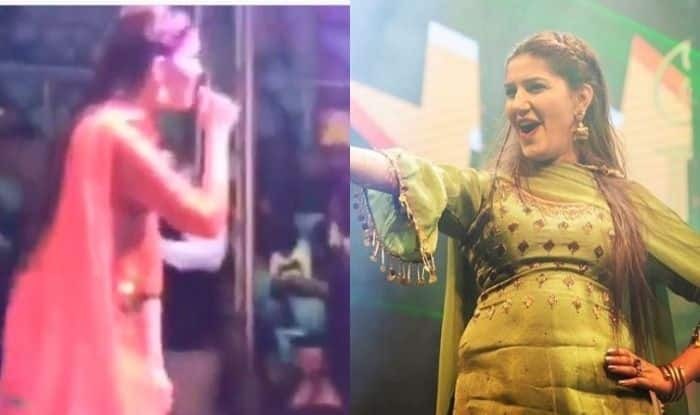 One of the videos from her performance in Delhi, is doing the rounds on social media in which she can be seen grooving to her popular Haryanvi song. Dressed in salwar suit, she looked beautiful. Sapna beamed with happiness as fans cheered for her. Earlier, she grooved with Punjabi singer Deep Money during her stage show in Nagpur. It goes without saying that she is in the best phase of her career. Along with stage shows, she also featured in many hit music videos. The lady enjoys a huge fan following and keeps treating fans with her wonderful pictures. One such example of her fandom was that she became the third most searched personality of 2018, leaving behind many Bollywood biggies. Sapna became a popular name after she participated in the TV reality show Bigg Boss 11. She showcased her dancing skills and was even praised by many Bollywood celebrities. She performed well in tasks and was considered one of the toughest contestants. Despite huge fan following, she got evicted from the show. However, after coming out, her new journey started. The whole country started loving her. Sapna featured in many music videos like Chori 96, Superstar, Ram Ki Su, Billori Akh that became huge hits. In fact, she also ventured into Bhojpuri and Marathi cinema.